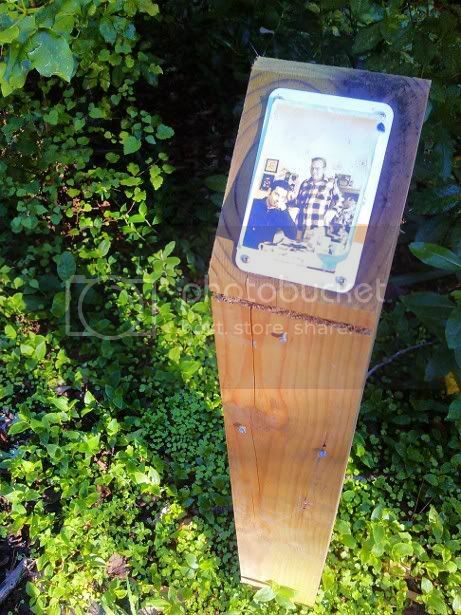 In Central Park, this sepia-toned photo of two men, one younger, one older, stuck to the top of one of the city-to-sea path markers. Father and son, I'm guessing. Father has been caught mid movement. Son is ... delicious. The photo, I think, is modern, despite the sepia. I wonder why it's here, and how to stop my cellphone camera rendering things all blue and over-sharpened.